Last time, we focused on commonly overlooked home staging tips. This time, we are continuing along those lines with some common mistakes that home sellers routinely make when staging their homes to sell. 1. Overdoing one color/theme. You may have heard that sticking to a theme in each room—particularly when choosing colors or decorations—is important. But equally as important is keeping a balance. You don’t want your buyers to be so distracted by one theme or color that they miss the finer points of your home. 2. Underestimating the power of natural light. No matter how beautiful the home, a dark room is usually not a winner. Remove dark or heavy curtains and try not to obscure windows with large furniture; this will help your buyer visualize your home’s full potential. 3. Failing to maximize space. Buyers love storage space and anything that screams of lots of storage—big closets, built-in bookshelves, etc. Make sure you clean out all of your closets, armoires, shelves, etc. before you show your home, because buyers will likely poke around in them to see how much space you have. One stager recommends investing in a few cute baskets or storage containers to hold small items, if you don’t have time to completely declutter before your first showing. 4. Using poor quality photos in online posting. Many, if not most, buyers start their house hunting with online searching. According to one realtor featured in Realtor Mag, “Most of your selling is online. You’ve got about five seconds to get them to look at the house before they go on to another one. That’s how critical photography is.” If you aren’t using professional assistance, make sure you have a good camera and tripod, and take multiple shots at different exposure settings. Is your master bathroom a little on the small side compared to the rest of your home? Are you worried that the size of one or more of your bathrooms might turn off potential buyers from purchasing an otherwise beautiful and luxurious home? If you answered yes to either of these questions, don’t worry—we have some tried-and-true solutions for you that will have potential buyers swooning in no time. 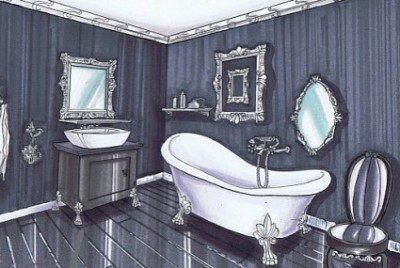 First, maximize your bathroom’s potential by making it look larger than it is. Use bright light fixtures to visually increase the size of the room. Lighting is particularly important—nothing is worse than a dark, cramped bathroom! If needed, switch to a high-wattage bulb to provide additional light. Second, keep it simple. Don’t over-decorate and clutter a crowded area, and keep bathroom furniture small. Consider moving larger bathroom furniture such as storage shelves to corners to utilize all potential space. Third, consider painting ideas or wall tiles to visually raise the ceiling and widen the walls. Vertical lines and decoration patterns (think stripes and zigzags) can do the trick for adding height, as can horizontal tile patterns for width. Fourth, clean, clean, clean! Make sure every surface is gleaming. Cleanliness is always attractive, and remember, it’s the little things that can make or break a sale! When you think of your home, you probably think of the memories it reflects. Your favorite comfy chair, your kids’ graduation photos, the quaint teapot you picked up from your local flea market—all of these items make a house a home. Accordingly, you’ve likely decorated your home according to your personal style. While personalized decorating is essential to falling in love with your home, it’s exactly what needs to go when you try to sell it. Home staging is, at its core, depersonalization. It’s allowing the buyer to mentally “move in” to your home. This is why home staging tends towards neutral colors and universal appeal. Here at Stage to Move, we position furniture and redecorate homes to maximize a home’s architectural attributes and showcase its best features in an organized, stylish, and polished way. Another way of understanding this difference is to consider who is the intended audience of the change in appearance. 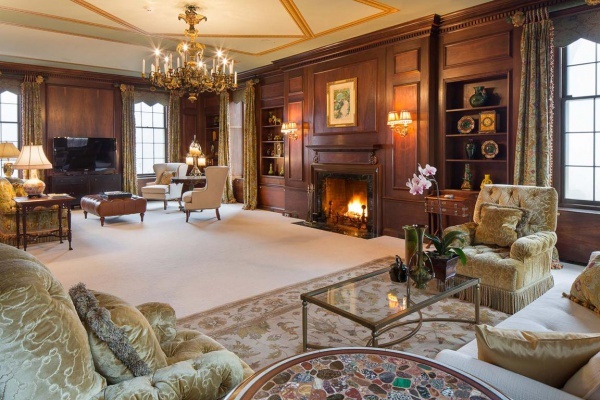 Decorating a home is, obviously, done for the sole purpose of pleasing the home’s owners. Home staging, on the other hand, is intended to please an audience of potential buyers. Also note that the audience is different. Home staging clients trust their home stagers to decorate their home to sell, not to live in. This gives stagers more creativity and freedom to do what they think is best. Decorating is intended to suit the needs and preferences of the owner for his or her own personal use. Thus, it is inherently more practical and more dependent on the specific tastes of the owner than on the creativity of the designer. We understand that this can be difficult for many homeowners to grasp. However, it’s important to keep in mind that you are selling a product that happens to be your home. You want to make that product be the most appealing to the buyer, and sometimes that means depersonalization. And don’t forget that when you move into your new home, you can personalize as your heart desires—using all of that extra cash home staging will generate! You’ve heard the refrain: staging is all about minimalism. 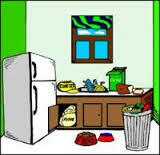 Any decent home stager will tell you to get rid of the clutter, neutralize wall colors, etc., etc. But here at Stage to Move, we are not satisfied with the ordinary; we are interested in the extraordinary. And strategic accessorizing is a part of our plan to transform your home into a highly sought-after commodity. Below are some of our favorite accessories. First, add some light. Tasteful light fixtures—lamps, chandeliers, candles, etc.—not only accessorize, they also add warmth and brightness to your home. Second, add some nature. Nothing beats an artful potted plant or a decorative bouquet. Caution: make sure your plants are well kept. Dead (or dying) flora is a major turnoff, and you don’t want a buyer to assume that other parts of your home are not well maintained. Third, add some art. Keep it simple; choose one or two large pieces per room. And go for style, not for quirk. Remember, this is for the buyer, not for you. You don’t want to turn off a potential buyer because he or she doesn’t share your obsession with cat paintings. Fourth, add some bins. Space is one of the most sought-after amenities in a home. Placing excess items in decorative bins rather than shoving them in closets (because you know buyers are going to look in your closets) is a great way to let buyers see the full potential of your closet and storage space while also giving you some space to store last-minute items like children’s toys or bathroom toiletries. Finally, add some books. Hardback books and travel magazines add interest and character and may score you some bonus points with well-read and well-traveled buyers. If you find that you don’t follow all of these tips, don’t worry. As long as you remember to keep it simple and to add small pops of color here and there, we will take care of the rest. Remember, you don’t want your home to look sterile. Follow these tips and you will reach the perfect balance of warmth and inviting that every homebuyer wants. The verdict is in—your kitchen can make or break a sale. So what can you do to spruce up your kitchen and make it more appealing to buyers? First and foremost, eliminate the clutter. Get rid of all non-essential small appliances and kitchenware—toasters, plastic containers, magnets, papers, etc.—and clear out excess utensils and spices. This small tip will make your kitchen feel larger and cleaner right away. Second, clean your major appliances. Buyers know that they will be using those same appliances should they decide to buy, and you don’t want them to be turned off by a leaking fridge or a dirty, grease-stained oven. Make sure to keep things clean as your house is on the market—in other words, no dishes in the sink. Consider having your kitchen professionally cleaned. Third, highlight your kitchen’s best features. Do you have a brand-new fridge? Make it sparkle—the gleaming appliance will attract potential buyers right away. Do you love your ornate kitchen floor tile? Make sure you are not covering it up with too much clutter or distractions—keep it simple. Are you blessed with plentiful cabinet and shelf space? Keep it organized and neat so that buyers can visualize its full potential. Fourth, consider making some smaller adjustments to your kitchen’s not-so-great features. Paint your cabinets a neutral color, like varying shades of white. As one realtor notes, alternating among shades such as creamy beige and pale blue-gray add depth and visual appeal. Replace out-of-date countertops and appliances. And lastly, add decorative items to finish the upscale look you want. Add a teapot to decorate the oven, set out fresh fruit or flowers, hang up bright new tea towels—anything that will make your kitchen look warm, fresh, and inviting. Most importantly, don’t hesitate to spend money on your kitchen. It’s an investment, not an expense, and statistics prove it can pay off to the tune of thousands of dollars in the end.